1. Compact structure,easy operation and stable performance.Small vibration and low noise . 2. Powder wood and sawdust powder can be made into pellets ,which the water containing rate of pellets as same as before .it is more convinient to store. 3. The flat die wood pellet machine produces the pellets with smooth surface high hardness, and full of internal curing,it can be as fuel pellets and feed pellets. 4. The raw materials of flat die wood pellet machine can be crop stalks such as corn stalk,wheat stalk and wood chips,wood logs,branches,pine wood,palm wood and so on. 5. 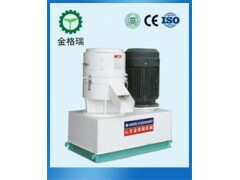 The flat die wood pellet machine is widely used for industrial use. 1.the flat die wood pellet machine with central screw regulator, three auxiliary shaft pressing means,adjustable abrasive gap,suitable for different materials,ensure the suppression effect. 2.the flat die wood pellet machine roller width with a large body, bearing wear structure.